Samsung maintained back in May that it would continue to support the Galaxy Gear, most notably with an update from an Android-based OS to a Tizen-based OS. If leaked firmware obtained by SamMobile is any indication, it seems like the company is nearly ready to deliver on its promise. 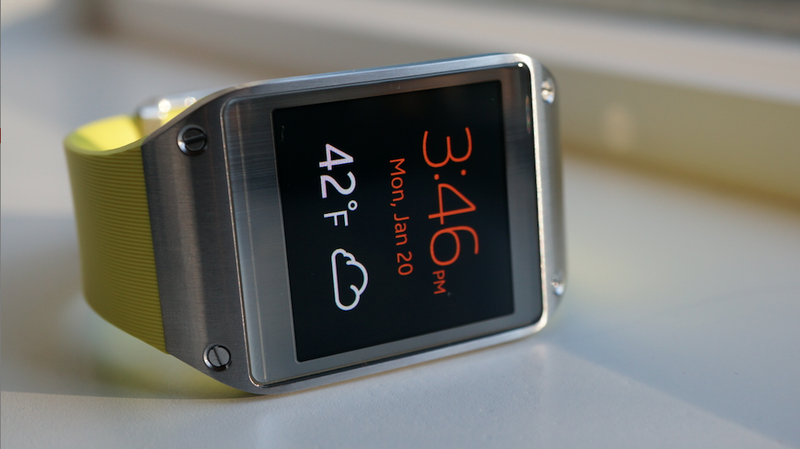 According to SamMobile, the update will bring many new features to the aging Galaxy Gear, including a few features previously exclusive to the Gear 2 and Gear 2 Neo. Among the additions is Sleep mode and Exercise mode; the former monitors your sleeping patterns, while the latter measures your workouts in “real time.” A standalone music player is now present, as well as a Controls app for customizing gesture shortcuts. Limited theming options have also been built into the Tizen update. Font style, wallpaper, and icon size can all be adjusted and changed. Miscellaneous enhancements include voice controls in the camera app, Bluetooth headset support, and a privacy lock. In SamMobile’s evaluation, all features from the new Gear 2 and Gear 2 Neo are present in the Tizen update, minus the hardware-dependent WatchOn and Heart Rate monitor apps. That’s great news for Galaxy Gear owners, and even less reason to buy the incrementally-better-but-still-overpriced new Gear watches.